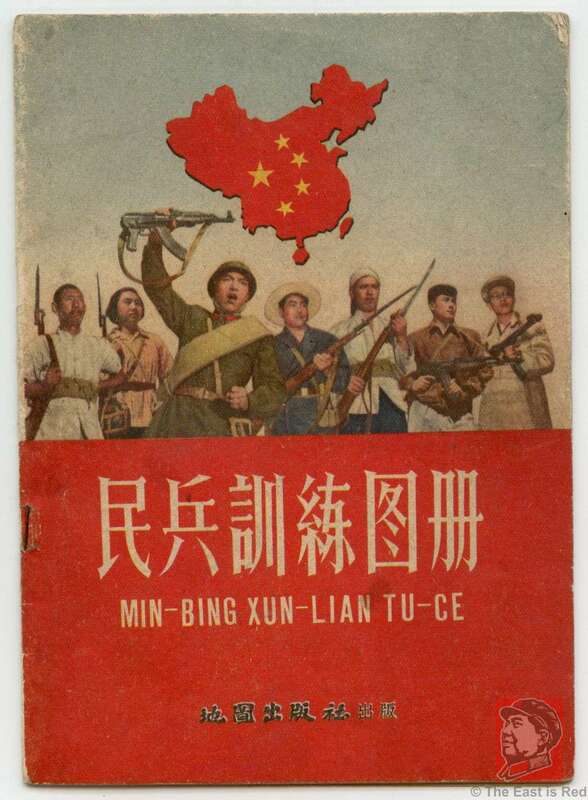 Officially entitled, "People's Militia Training Maps and Book", this was published in November 1958 as a militia training guide and 'education' manual. This was the first edition. As the scanned pages show, color was used on all the inside pages, unusual for most books of the time. 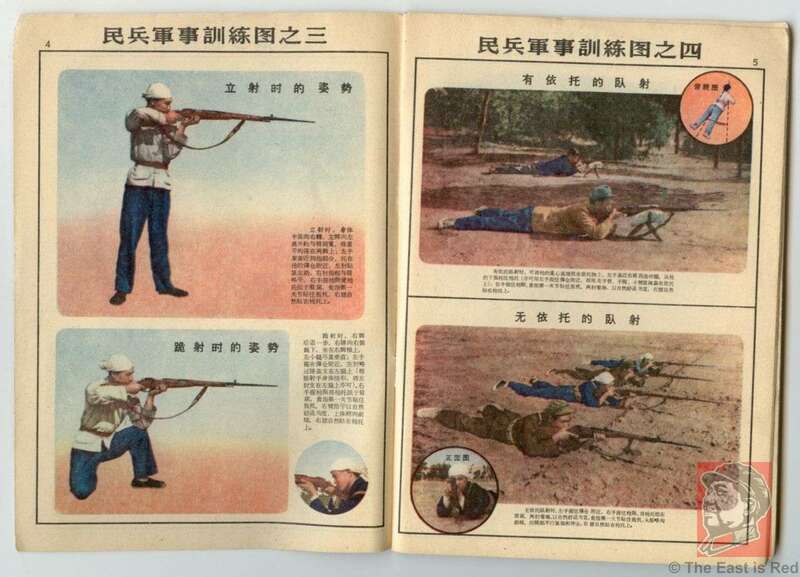 The book explains in graphic details how to fire one of 3 rifles (7.62mm, 6.5mm, and 7.9mm) from a variety of positions, including a section on urban warfare. 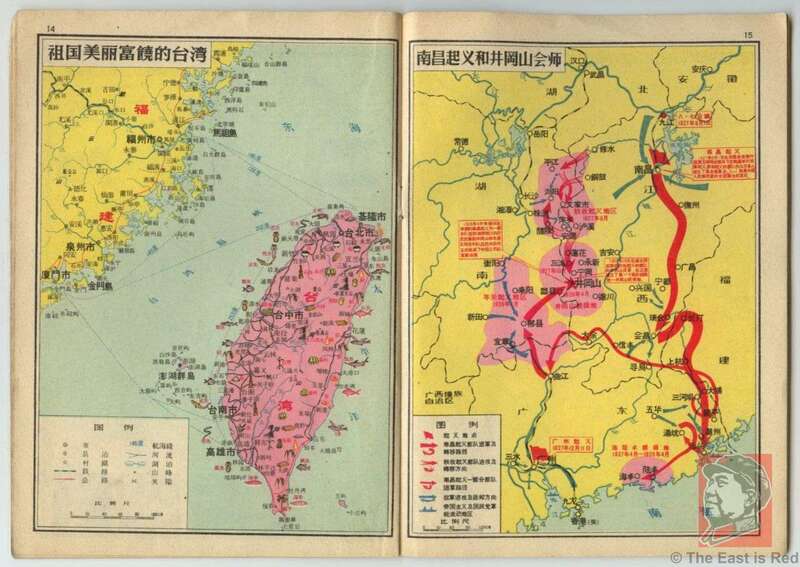 Following the pages of weapon firing strategy, the next half of the book is composed of maps of China showing the country as a whole and then more detailed maps of different regions of China, including Taiwan ('Beautiful Richly Endowed Taiwan'). The propaganda machine spews forth some simply incredible stories. For instance, Motherland Construction - Industry and Transportation & Farming Production and Hydroelectric Production (p. 11 & 12). Given that these figures come during the period of the Great Leap Forward, they are notoriously unreliable, and most are simply figments of the imagination. 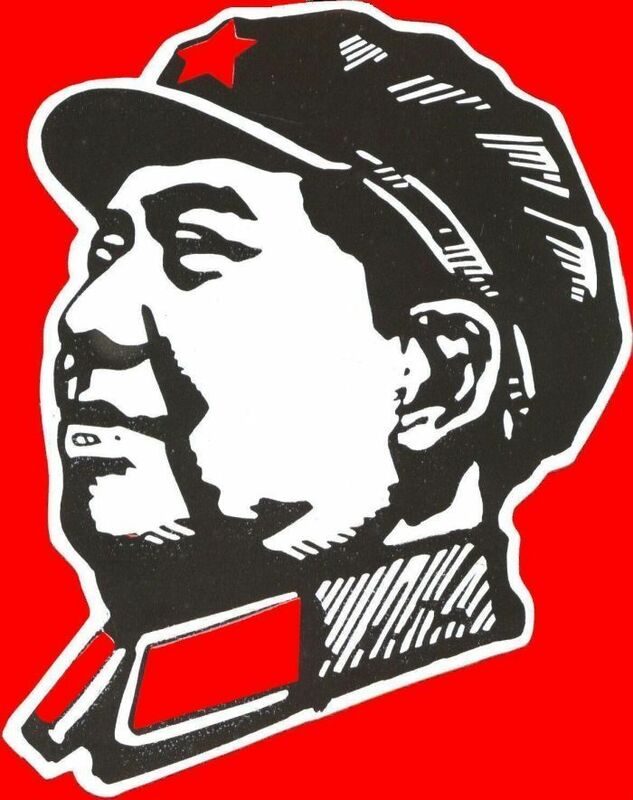 Rosy forecasts for 1958, 1959 and 1962 are also provided for one People's Commune in Henan Province (p. 13) that call for nearly triple the outcome, per mu (0.067 hectare), for rice, oil and cotton. Of course these communes never were able to fulfill such lofty targets. 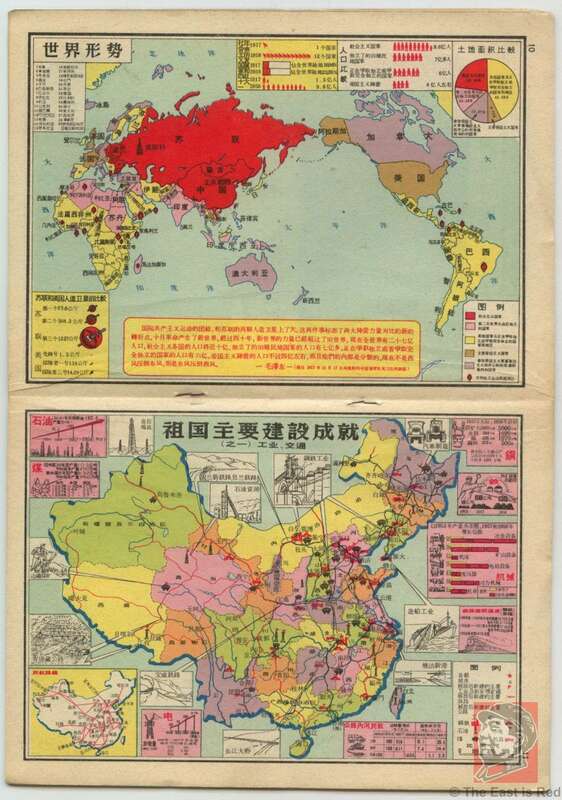 Various maps also show how the Communists lead by Chairman Mao were able to defeat the Japanese and later the Nationalists. 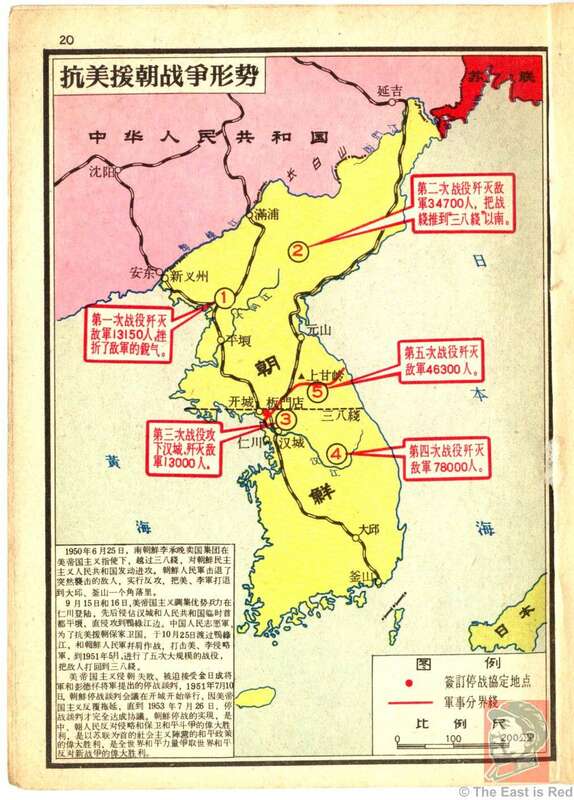 There is also a very interesting page related to the Korean War, 1950-1953, (otherwise known as, The War to Resist US Aggression and Aid Korea) which shows China's involvement and number of causalities in several major battles.